Patrick Kielty – Irish Stand-Up Comedian and Television Presenter. Ireland and won him an RTS Award for Best Regional Presenter. After attracting the attention of various broadcasters, Kielty presented his first network prime time show ‘After The Break’ on BBC1, but it was the Channel 4 show ‘Last Chance Lottery’, that made him a household name. Kielty went on to present BBC 1’s ‘The National Lottery Big Ticket’ with Anthea Turner on Saturday evenings. 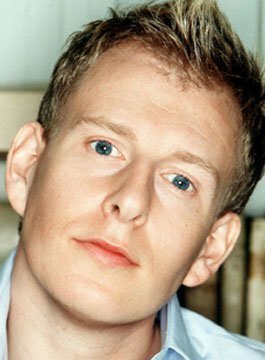 Patrick has since presented numerous television shows including: Patrick Kielty Almost Live (BBC), The Big Breakfast (C4), Stupid Punts (BBC), Fame Academy (BBC), Celebrity Love Island (ITV), Comic Relief Does Fame Academy (BBC), Sport Relief (BBC) and Channel 4’s Stand Up for the Week. Kielty has also appeared on: Parkinson, Paul O’Grady Show, Tough Gig, Schools Out, Loose Women, Princes Trust 30th Birthday, This Morning, Davina, It’s Only TV… But I Like It, They Think It’s All Over, C4’s Comedy Gala and Live at the Apollo. Patrick’s award winning razor sharp wit remains at its irreverent best as a stand-up comedian and guest presenter.